A gifted composer and arranger—and a graduate of Juilliard as well as a master's candidate at The College of Saint Elizabeth—Gerard brings his impressive credentials to every song he writes, every assembly he leads in worship and every workshop he presents. To respond to a new season of extraordinary hope and renewal, Gerard has prepared several workshops and days of reflection for parish life. For more information about bring Gerard to your community, please click on the book now tab! This retreat experience, led by Gerard and his wife Mary, is intended to lead participants struggling with loss and grief to a newfound hope in Christ. Through song, guided meditation and reflection, the pair hopes to help individuals and communities to work through the wide-ranging emotions associated with grief in this three-part morning or evening event. All people are touched and affected by the death of a loved one at some point in their lives. The Church mourns with those who grieve, and offers hope in the Resurrection of Christ. As Church, we are called to minister to the grieving, that their loss may be comforted in the love of the Lord. Whether your parish has 10 funerals year or 100, learn tools that will help you develop a funeral ministry that will help you develop a funeral ministry that will guide the sorrowful through their time of grief and the joy of the Resurrection. YOU ARE BAPTIZED...NOW ACT LIKE IT! As reflected in Paul’s letters to the Corinthians, baptism is to be lived out! How do these roles give us cause to live out our baptism? We are commissioned to think of our faith not simply as a part-time affair focused largely on what we do within the gathered “space” of the parish community, but instead the way we incarnate (live out) what we believe about God and God's world. Recall and give thanks for your own moment of adoption into the family of God. People who attend Mass regularly need to be engaged. Understand the importance and connections of the liturgy in all its aspects. Good liturgy evolves into beauty, fullness, and reverence in the Mass. It is not merely an intellectual creature, but also an experiential one where practice and experience are important teachers to children and adults alike. Learn skills that can make all liturgy life-giving. 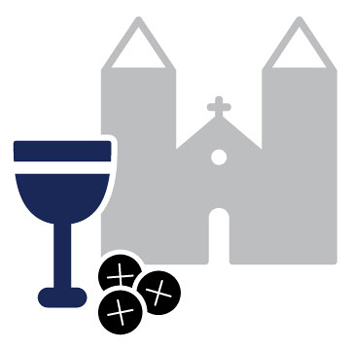 What does it mean that Jesus Christ is present in the Eucharist under the appearances of bread and wine? The Eucharist is one of the most important and vital aspects of the Catholic faith. By learning the history and meaning of this most holy gathering, music ministers will be able to help the community celebrate the Eucharist with reverence and relevance. Learn the proper use of audio/visual technology, PowerPoint, projection. Develop a team which ensures that the technical aspects of Mass are met with reverence and with excellence. This “behind the scenes” ministry is key to inviting full, conscious, and active participation of the congregation. This book addresses, with clarity and insight, the most common issues confronting today's liturgical ensembles. With chapters devoted to strings, woodwinds, brass, keyboards, guitars, percussion, conducting, amplification, and more, Liturgical Ensemble Basics leaves no stone unturned. It's an indispensable guide for musicians, directors, and pastors-everyone involved in music ministry, both experienced and novice, professional and volunteer. Contributors include well-known and highly respected experts in the field: Rev. Ronald E. Brassard; Carol Browning; Ken Canedo; Gerard Chiusano; Bobby Fisher; Dr. Dennis Fleisher; Dr. James W. Kosnik; Dr. John Pennington; Steve Petrunak; Rick Reed; M.D. Ridge; Rev. Robert J. Sandoz, OFM; and Christopher Walker. Includes essays on the "theology of ensemble" and the ministerial/liturgical role of ensembles, a wealth of musical examples, and a foreword by Jesuit Father John Foley. It's a dilemma pastors and pastoral musicians face every December: How can we draw the faithful into the spiritual riches of Advent at a time when the world around us is caught up in a frenzied preparation for Christmas gift-giving? Gerard Chiusano's latest collection is a well-crafted and much-needed answer to this challenge -- and an important addition to the repertoire for Advent. Maranatha -- Aramaic for "Our Lord, come!" -- offers music and texts that evoke the fullness of the Advent spirit, bringing together the joyful anticipation of Christ's birth in Bethlehem and the joyful hope with which we await his return in glory. The collection features a variety of music for the liturgy, including SATB a cappella introits, choral anthems, ballads, gospel-rock songs and psalm settings. Gerard has taken some of the most beautiful, familiar Advent hymn texts and set them to upbeat, contemporary music, giving this ancient poetry new life. Other texts have been drawn from the Scripture readings for Sundays in Advent. Lead your assembly into the joyful expectation and stillness of Advent with Maranatha! On This Mountain bridges the gap between good listening music and music that is liturgically worthy. United by the motif of God's promise to reconcile all things to himself at the end of time, Gerard writes in several distinct styles for a variety of voicings. His musical and liturgical sensitivity brings the words to life. On This Mountain has music for a variety of liturgical uses, including songs for Advent and the Easter Triduum, but you'll enjoy listening to them all year long as they open up the meaning of the scriptures. This CD contains eight songs and three guided meditations designed to help those struggling with grief and loss. 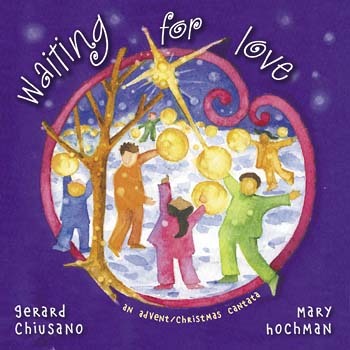 This two-CD set by Gerard Chiusano and Mary Chiusano features 12 songs for youth during Advent/Christmas. Disc one contains words and music while disc two features instrumental versions of the album. This director's book provides your audience and assembly a printable program/worship aid for singing to or performing the entire 12-song album Waiting for Love. This songbook features guitar, keyboard and vocal parts for the album Waiting for Love by Gerard Chiusano and Mary Chiusano. 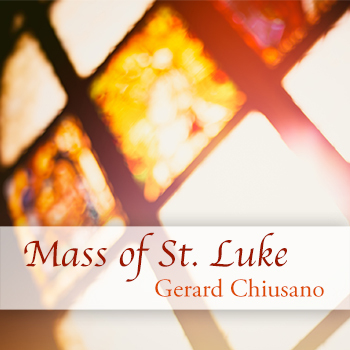 This MP3 album contains recordings of each of the parts of Gerard Chiusano's Mass of St. Luke. 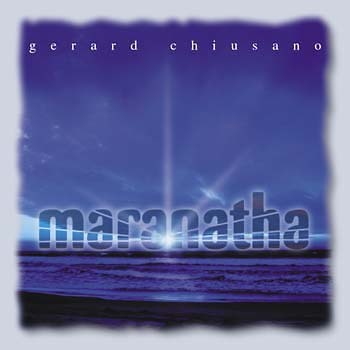 This 12-song MP3 album by Gerard Chiusano features music for a variety of liturgical uses, including songs for Advent and the Easter Triduum. This MP3 album contains eight songs and three guided meditations designed to help those struggling with grief and loss. Gerard Chiusano and Mary Chiusano combined their considerable gifts to create Waiting for Love, a delightful new Advent/Christmas cantata for children and youth. Through poetry and song, it brings the story of redemption to life, from the creation through the Incarnation. Designed for performance in parish and school settings, the program features 12 fun-to-sing songs: eight for Advent and four for Christmas. A poetic narrative introduces each song and puts it into context, proclaiming the story of the greatest love ever known. The style of the narration, in rhyming couplets, makes it very performable for children. Though woven into one cohesive work, the songs can also stand independently. Many are well suited for Advent lessons and carols services and Sunday liturgies throughout Advent and Christmas. Groups may perform the cantata using the accompaniment CD or with a variety of instrumental combinations, from a single piano to a large ensemble with rhythm section. No staging or costumes are required, but some groups may wish to create tableaux, especially for songs with Nativity themes. Children could dress as Mary, Joseph and shepherds for Something Wonderful and as Magi or angels in Tell Us, Shepherds. The program is primarily for elementary-age children and youth, but inter-generational groups will also find it rewarding, and may perform it on a parish level with sung assembly participation. Each song includes an introductory page with musical tips and a brief catechetical lesson. Written by Ronald L. Pihokker, director of the Catechetical Office of the Archdiocese of Newark, the lessons encourage children to take the readings and songs to heart by living out the Gospel truths they contain. Each songs catechetical page includes the following elements: background (summary of themes); musical approach (suggestions, technical aspects, teaching the song); Scripture references; questions for reflection; notes for catechists and parents; and suggestions for related activities. The CD illustrates adults, youth and children singing together, with adults and youth taking solo parts and children singing the easier solos and chorus parts. Disc one of the two-CD set features music and vocals. Disc two features instrumental versions of all songs. The Directors Edition contains a printable program/worship aid for audience/assembly use. Its designed for maximum convenience: simply copy as a two-sided document, fold and assemble. It includes blank spaces for names of performers and other custom information. A top-rated pre-kindergarten teacher based in New Jersey, Mary Hochman is one of the Churchs most promising new song text writers. Her previous collaborations with Jerry Chiusano are featured in Spirit & Song, Never Too Young and Breaking Bread. Waiting for Love helps both children and adults celebrate the birth of Jesus -- and await his return -- with new understanding, appreciation and joy. 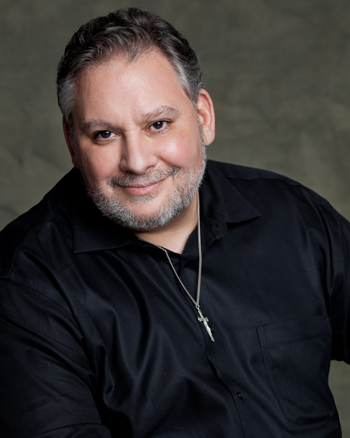 Gerard Chiusano started in music ministry at the age of 10. A gifted composer and arranger, he studied composition and piano in the college prep program at the Juilliard School in New York, graduating with honors and receiving an honorary scholarship. He continued his studies in composition at the Mannes College of Music and Manhattan School of Music, both in New York City, and he has a Bachelor of Music from Thomason Edison University. As a director of music, he has served parishes in the Archdiocese of Newark and the Diocese of Paterson in New Jersey. 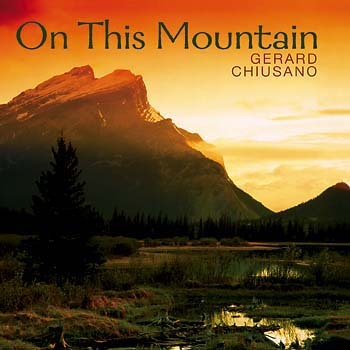 Gerard has several collections of liturgical music to his credit, including On This Mountain, Maranatha and Waiting for Love, written with his wife, Mary Chiusano. The latter is an Advent-Christmas cantata for children and adults designed for use by Catholic schools and parishes. His songs “With These Ashes” and “Maranatha” are well known to Breaking Bread parishes. 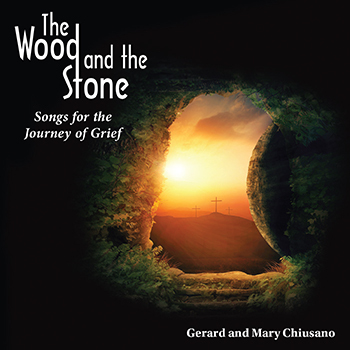 Gerard recently collaborated, once again, with Mary on The Wood and the Stone, a new collection of music and guided meditations to help those struggling with loss and grief. Another component of this new collection is a retreat experience led by Gerard and Mary involving song, meditation and reflection, intended to lead participants to a newfound hope in Christ. Gerard has also given workshops locally for the Archdiocese of Newark and nationally for the National Association of Pastoral Musicians (NPM). Experienced in a variety of musical styles and genres, he can lead sessions on liturgy and prayer as well as spiritual events. Gerard is in the process of completing a master's degree in theology at The College of Saint Elizabeth in Morristown, New Jersey.